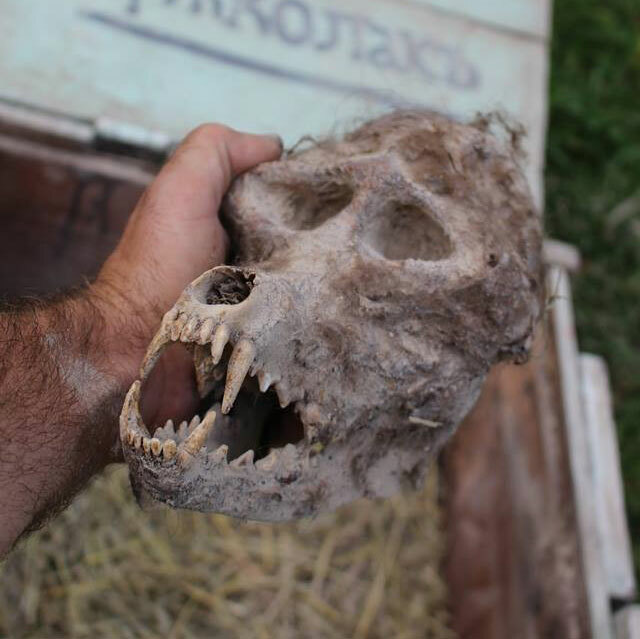 Werewolf Skull Found in Bulgaria? 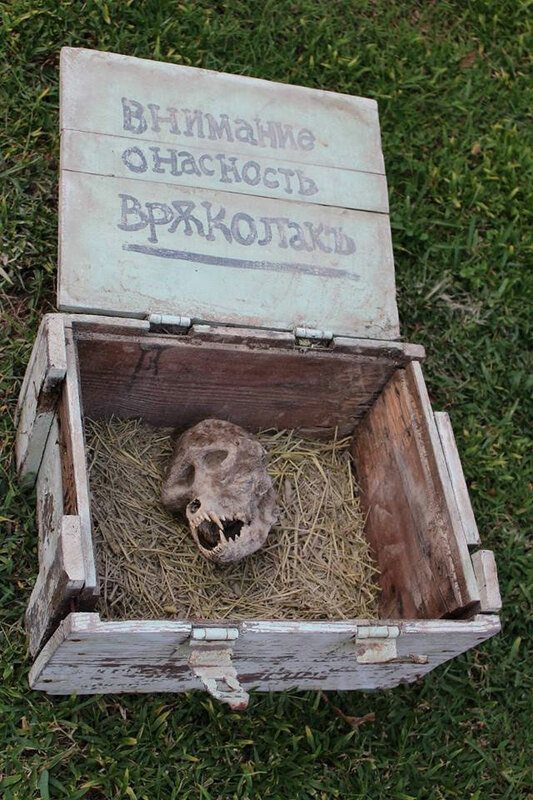 Home > Paranormal > Skull of a Werewolf Found in Bulgaria? Located just outside of Macedonia, the tiny village of Novo Selo is at the heart of a peculiar sort of controversy. Is this photograph of an actual werewolf skull? A local farmer by the name of Trayche was out plowing a new section of field when he uncovered a strange box that was chained shut. Curiosity quickly got the best of him and he cut the chain away, likely hoping to find valuables. What he instead found was very disturbing skull with human and canine characteristics. A writer by the name of Filip Ganov was staying in the village recently while researching a book unrelated to such peculiar topics. Filip had a chance encounter with Trayche, who showed him the skull and allowed him to take the photographs featured here. Filip showed the photographs to local wildlife officials who theorized it belonged to a wolf with Paget’s disease, a genetic condition that causes bone mutation. The photographs arrived at Cult of Weird courtesy of Filip, as a way of sharing a piece of Bulgarian folklore with the world at large. And folklore is most likely exactly what it is. Right away I see two major problems with this supposed werewolf skull. For one, the box it allegedly was buried in is in remarkable condition for something that has been buried in a field for, perhaps, decades. Also, the writing on the inside lid of the crate are Cyrillic characters that translate into “Attention Danger Werewolf” in Bulgarian. Wouldn’t some well-meaning werewolf hunter put such a warning on the outside of the box? I think the only real mystery here, is the reason behind such a hoax? But that’s just my opinion, feel free to disagree. Pretty cool looking gaf, too bad they didn’t make actual eyeholes! Why are there no eye holes? There are supposed to be openings for the nerves, etc. That makes me think it is fake. Looks like a baboon skull. the shape of the bone around the eyes would make for one despondent looking werewolf.